This is quite interesting. Just as Apple has taken the wraps off iOS 7 which has undergone a major facelift under the guidance of Apple’s Jony Ive, the design guru’s official title on the company’s Leadership section has been tweaked, going from Senior Vice President of Industrial Design to just Senior Vice President of Design. Mark Gurman of 9to5Mac, who first spotted this, observed amusingly that Apple “flattened” Jony Ive’s title to Senior VP, Design alongside iOS 7 revamp. However, the official change in title only occurred last week: the week in which the flatter, newly colored iOS 7 was revealed for the iPhone, iPad, and iPod touch. Ive’s Apple bio page hasn’t changed other than the title simplification. Last August, Apple’s boss Tim Cook re-shuffled the company’s management team by firing former iOS boss Scott Forstall over his abrasive management style and ongoing clashes with other executives. Most notably, Jony Ive and hardware guru Bob Mansfield allegedly couldn’t be at the same meetings Forstall attended. Cook also gave several executives broader responsibilities and argued the changes were meant to infuse tighter collaboration between different teams like Mac and iOS divisions that would often compete against each other. 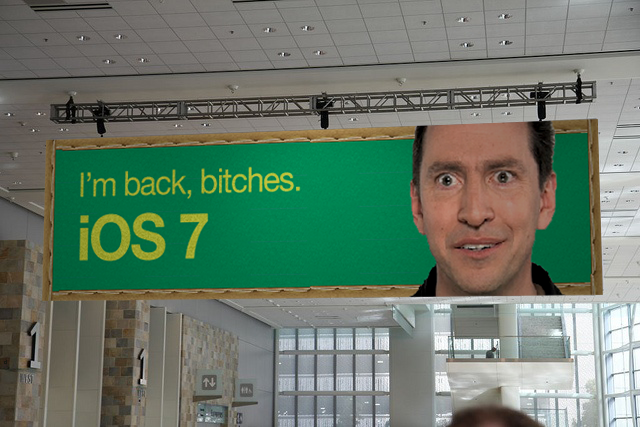 Somebody Photoshop’d this ahead of the WWDC keynote. Moreover, OS X lead Craig Federighi was tasked with heading both iOS and OS X. Keep an eye on Federighi – he’s the guy who delivered much of the iOS 7 and OS X Mavericks segments during the WWDC keynote, and to a roaring success. 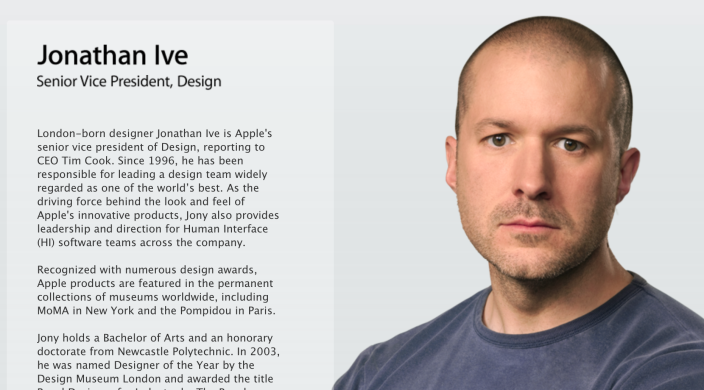 “Jony Ive will provide leadership and direction for Human Interface (HI) across the company in addition to his role as the leader of Industrial Design”, Cook wrote in a memo to employees following the changes. The promotion was in addition to Ive’s previous duties as Apple’s head of Industrial Design. “His incredible design aesthetic has been the driving force behind the look and feel of Apple’s products for more than a decade,” Cook’s memo reads. 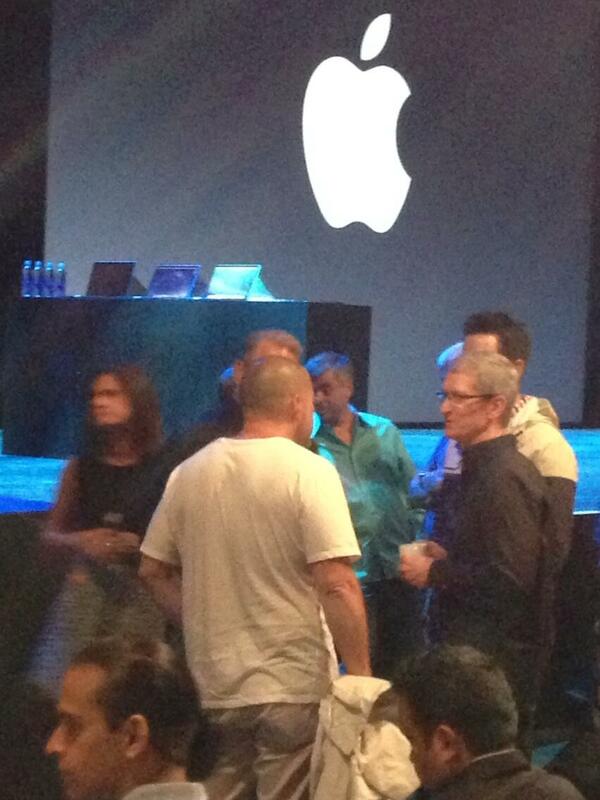 Ive, photographed in the audience in the run-up to the WWDC 2013 keynote. 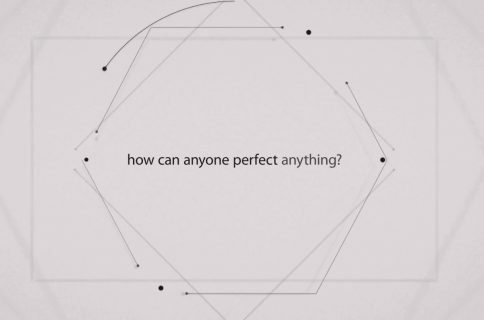 Indeed, today’s title tweak is important on the symbolical level. Not only does it prove that iOS 7 changes go more than skin deep, the flattening of Ive’s role shuld be interpreted as a major recognition for the legendary Briton. 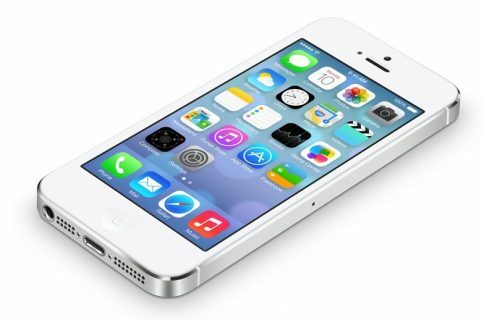 Here’s Ive talking about iOS 7 with his perfectly clean British English accent. From now henceforth, Ive shall be regarded Apple’s head of all design across the company, be it hardware, software, product packaging or pretty much anything and everything Apple touches. There’s no denying that the beloved design guru has risen to become Apple’s second most-powerful executive and I won’t be surprised to see him take the helm once Cook steps down.